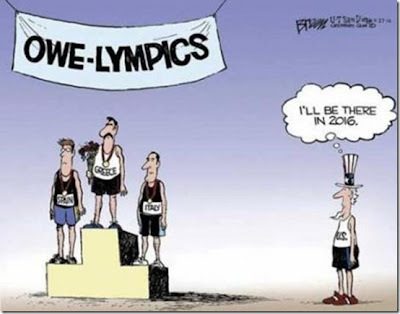 It seems like just yesterday I finished writing the Second Half Outlook For 2012 (released June 2), and the world has changed significantly since that point only two months ago. After spending the first five months of the year discussing the danger and overvaluation in the stock market, finally in the month of May stocks turned down significantly and fell all the way into the beginning of June (my outlook marked the bottom almost to the day). At that point I said that due to the sell off many of my favorite long term investments, energy and agriculture, were close to buying opportunities. Unfortunately, we never hit those levels, as oil took off with the stock market and agriculture has exploded higher due to the drought conditions. I am writing this now to remind readers not to get frustrated that we did not hit the buying opportunity (and must now continue to build and hold cash while we wait). However, this explosive rally higher in stocks (and sentiment) over that past two months has brought us very quickly all the way back up to another opportunity: shorting stocks. During this entire two month period the global economy, due in large part to the European slowdown, has continued to slow significantly. The UK economy has entered depression like numbers and the strength of its currency in relation to the euro (one of its largest trading partners) has crushed its manufacturing and export market. China has felt the same blow from the slow down in Europe confirmed by a major slow down in export numbers released last night. The following chart shows the diminishing returns in corporate sales and profits in the S&P 500 which have slowed significantly after the spike coming out of the financial crisis. You would expect that with this back drop of data the market would be significantly lower than where we last checked in on June 2. The exact opposite occurred. The fundamentals of both the global economy and corporate sales have been discarded due to one overriding factor: the market now assumes and has priced in the Federal Reserve announcing monetary easing in the next few weeks to months. The problem of course is that this expectation has brought food and energy prices along for the ride. It will now be very difficult for Bernanke to announce additional stimulus with the stock market just off its all time high, bond prices at almost record lows across the board, and commodity prices soaring. The bond market has taken the bait. The following shows that the high yield bond market (junk bonds) are now touching down on support at all time record low yields (record high prices). Junk bonds see not only see a continuation of lower interest rates (from the Fed), but they have also completely discarded any chance of defaults in the future. The stock market has taken the bait. In terms of sentiment, the AAII survey shows that stock market bulls rose to 35.6 this past week, the highest reading since April 5th. The bears fell to 27.4, down from 34.9. These reading are not as extreme as the beginning of the year in terms of overly bullish sentiment but they show a drastic turn around. 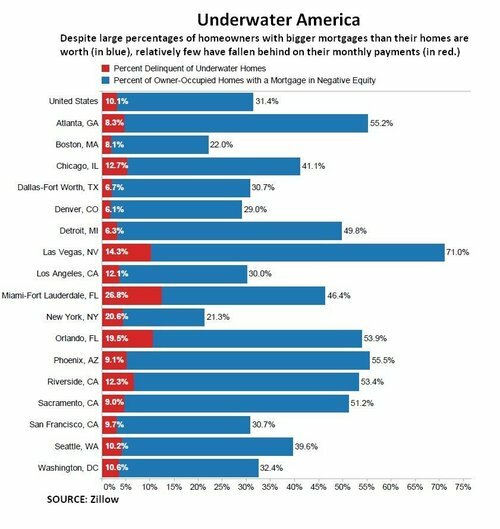 This means that 21.3% of all mortgages in this country are under water but still making a mortgage payment. 1 out of every 5 homes! What are these people doing? How long will they hold on? How soon before someone tells them they can stop making payments and live for free while they wait for foreclosure and then either work out a deal with the bank or, (gasp! )......rent a home. 100 million Americans in this country are now receiving welfare - social security and medicare not included in this group. 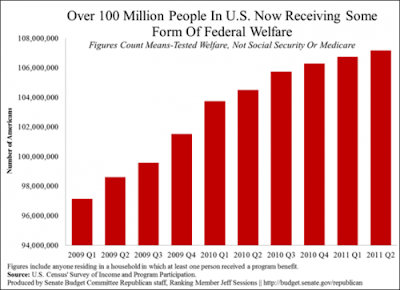 There are only 311 million people in America total. How long before this number moves to 80, 90, 100% of the country? Is that sustainable? US debt to GDP is now over 100% and rising fast. 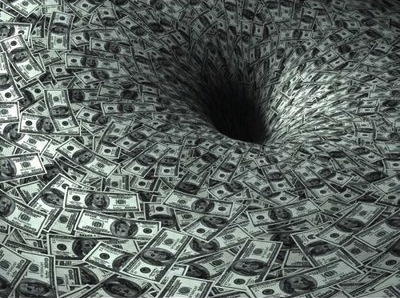 The US deficit is rapidly approaching $16 trillion. 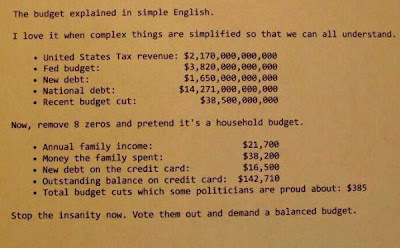 Obama promised in August last year (during the debt ceiling debacle) to find $1.2 trillion in cuts to our deficit. 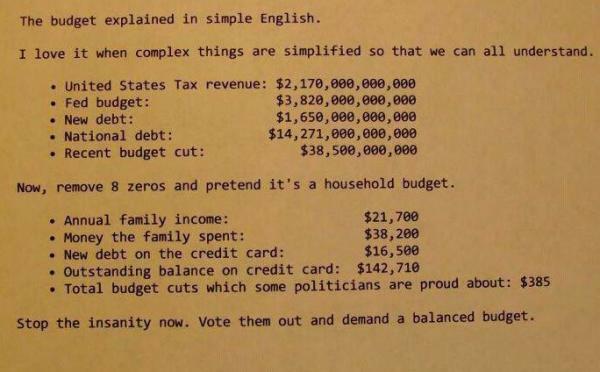 Our deficit grew by another $1.2 trillion in the year since that comment was made. 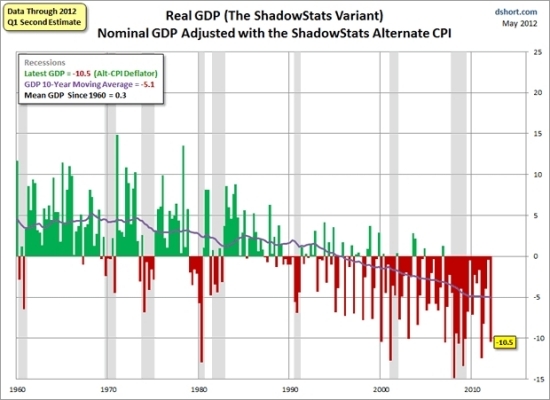 When calculating GDP, our government subtracts inflation out to determine the real growth (the most recent real GDP number showed the US only growing at 1.5%). The following chart shows what GDP growth would really have been reported over the past few decades if real inflation numbers subtracted from the total (using John Williams inflation numbers - how the government calculated inflation until 1982). You can see that until about 1990 the "real" growth in America was strong. Then after 1990, and especially after 2000, the real numbers show the country in a continuous contraction. This is what is happening under the surface and why it feels like things are not getting better for the average person. This is because the economy has been artificially stimulated or juiced at every potential down turn, first by Alan Greenspan (who took over in 1987) and then by Ben Bernanke (who took over in 2006), creating artificial recoveries. 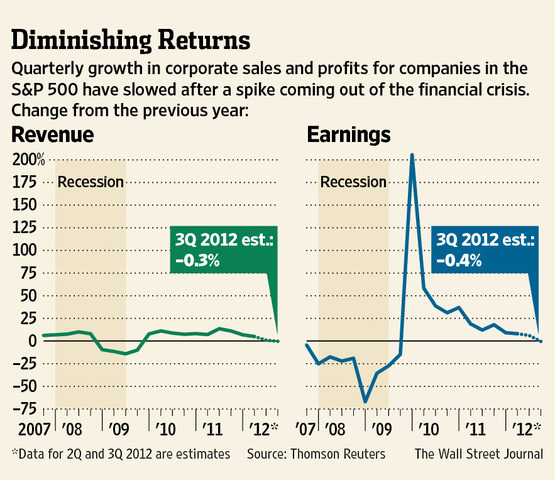 Each artificial recovery has set the stage for a larger "real" down turn. The next one will make 2008 look very calm in comparison. What I Am Doing Today? During the last two months I have been steadily accumulating precious metals, mining shares, and rare earth companies as they have not participated in the rally (sentiment is rock bottom). I continue to wait patiently for opportunities in energy and agriculture because I do not like to chase assets when they are rising and sentiment is strong. Some of my favorite currencies have moved very close to buying opportunities (as the dollar continues to strengthen). I am close to the point, as I did during the beginning months of the year, where I am comfortable putting a short position on the stock market. If the market continues to rise, I will layer the short position in slowly over the coming weeks. For more details on these assets see: 2012 Second Half Outlook: Policy Response & How To Invest. I am not a financial advisor. Please speak with one before making any investment decisions. The officially starting point of the global financial crisis has always been somewhat of a debate. During my discussions I always mark the beginning as January 2007 when New Century, a leading subprime originator, released their quarterly earnings to show major losses on their portfolio. Some see it as the following month in February when two major Bearn Stearns hedge funds collapsed due to subprime exposure on their portfolios. Others see it as the fateful week in August 2007 when the markets had a mini crash due to what we now know was major trouble in the world of Quants (documented brilliantly in Scott Patterson's book "The Quants"). It was during that week that BNP Paribas stopped withdrawals on three of their funds because they could not mark the value of the subprime funds they held. I remember that week specifically because I was in Puerto Rico staying at the Ritz Carlton after winning a sales competition for a large home builder in Northern Virginia. This website did not even exist at the time (it began the following August of 2008) but I started sending out the original form of the site through a daily email updating a small group of people with my thoughts on the market. Back then I felt that something big was coming, but it took me almost 6 more months of study to understand what it was. The following chart from Deutsche Bank shows the returns on different investment choices since that week in August (they feel the financial crisis began that week), marking the 5 year anniversary. While I was fortunate 5 years ago to be personally investing 100% of my investment capital into precious metals (something that was considered so fringe at the time I was embarrassed to tell anyone other than personal friends I was doing it), the important question is what will this chart look like 5 years from today? I have stated numerous times over the years that I feel we are currently in a secular bull market for commodities. A secular bull market usually lasts 15 to 20 years and I believe the most recent bull market began in 2000. While commodities feel like a roller coaster in the short term when you pull back and look at a longer term chart, as you want to do when discussing a secular bull market, you can see that they continue to win out over time. For this reason I believe that if someone were to invest their money today and could not touch it for another 5 years they should heavily weight their portfolio toward both commodities and natural resources. I think the bull market will peak with some form of a mania due to a combination of a limited supply of resources (something the great Jeremy Grantham discussed in detail in his lasted newsletter) coinciding with an onslaught of new money printing around the world needed to fight off the rolling sovereign debt crisis. I feel, just as I did 5 years ago, that precious metals will be the best performers in the commodity sector and that silver will shine even brighter than gold. I believe that the worst performing sector over the next five years will be long dated government bonds of specific developed countries (United States, Japan, the UK, etc.) which are now in the final stage of a 30 year bull market (the mania/bubble stage). While stocks are not cheap and not extremely over priced today, I feel that they will be about right where they are today in 5 years. I think they have one more large fall ahead and another rise up to bring us back to the point where they were at their peak in March of 2000. Secular bear markets in stocks last 17.6 years on average and usually end up right where they began to start the cycle. Stay focused on the big picture, and I will continue to work hard to make sure that the next 5 years treats my readers as good as the last 5 have. For more on the outlook for bonds see Long Term Government Bonds: The Largest Bubble & Mania In History. For more on the 17.6 year stock market cycle see Historical Guides: Stock Market Cycles & Public Ownership. A look at the major sentiment shift in the younger generation from ownership to renting. Not just in houses, the trend is moving toward cars, clothing, and more. Marc Faber sees stocks and other risk assets moving higher in the short term, with the S&P 500 to possibly test 1450, due to negative interest rates in many developed countries and an expansionary monetary policy from central banks around the world. The headwinds the market faces in the longer term are a slowdown in the global economy and corporate profits disappointing across the board. 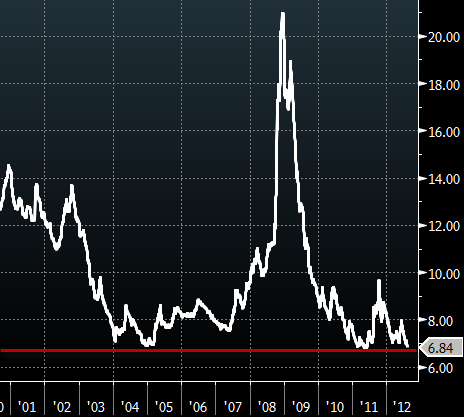 He is buying (certain) European shares that in many areas are below the March 2009 lows. I have spent a good amount of time recently studying the topic of high frequency trading. Just as with other areas of finance and economics, as I find and research information on the subject it opens up three or four new doors of a hidden world I had no idea existed. 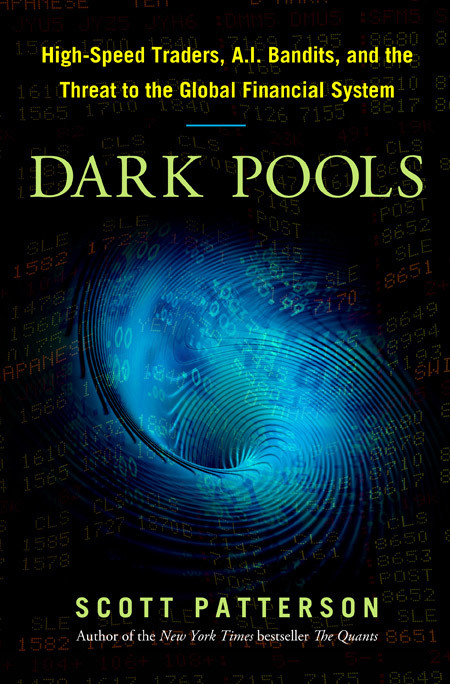 I am currently listening to the book Dark Pools: High Speed Traders, A.I. Bandits, and The Threat To The Global Financial System. It is told in story form, almost like a movie, starting with characters that exist in the trading world today and then taking you back to the origins of electronic trading. For anyone that owns or is interested in purchasing a single stock in their lifetime, the book is an absolute must read. The actual stock market that exists today is nothing like people imagine it to be. The level of dominance of high frequency trading in the markets and their impact on everything that takes place daily in the financial world is staggering. I will give you a simple example of one of the many ways high frequency trading algos operate. Most people have an allocation in their 401k to certain funds that purchase stocks for them. For some people this is their only form of investing; it is essentially run on autopilot. Every two weeks when they receive their paycheck a portion of the check is sent to a large firm such as Vangard or Fidelity to purchase mutual funds and add them to their portfolio. When the fund managers receives these funds from investors all over the world they must enter the market and buy stocks for the mutual fund to hold. Because the orders are so large they can easily be detected by algos in the "pools" where funds are purchased. For example, let's say that a fund manager wants to purchase 20,000 shares of IBM at 200 (its price that day). He pushes the buy button and waits for confirmation. The HFT algo can see this trade coming and it jumps in front of the order to purchase IBM at 200. This pushes the price up to 201, which means by the time the trade is completed the fund (average investors) pays a price that is .5% higher than what they would have. The HFT trading algo then immediately sells the shares at a profit, essentially stealing the purchasing power from the mutual fund investors. Most people would look at this simple example and say "who cares?" They do not care if they purchase IBM at 200 vs. 201 because it is just a small amount. Let the trading algo have their tiny profit, right? The problem is that this occurs for every individual, brokerage, or mutual fund trade that is made every day. Everyone pays a "premium" to play in the stock market, essentially siphoning billions and billions of profits into the pockets of these trading machines daily. Over time and over a large enough amount of trades the numbers add up significantly. Imagine if you were online purchasing a car. You get to the final page and you are ready to click "submit" to lock in on the order. As you press the confirmation button a message popped up on the screen saying "I'm sorry, another bid has arrived and the cost to purchase the car has moved from $40,000 to $40,400, would you like to proceed?" The person purchasing the car would be furious, however, this happens to that person every single time they purchase a stock (which they are unaware of). The danger moves much further beyond this immediate theft. The HFT machines created the now famous "flash crash" and they have been responsible for many of the major dislocations in the market over the past few years. I strongly feel that the flash crash was the warm up for the bigger event that is coming due to these machines. As quickly as they create liquidity in the market, they can take it away.